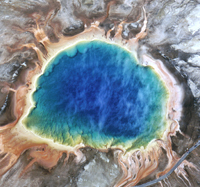 Yellowstone National Park is a natural treasure that inspires awe in its visitors. 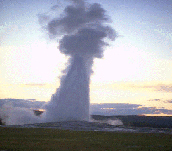 Nowhere else in the world is there as great a number of geysers as are in Yellowstone. With waterfalls, majestic mountains, hot springs, mountain lakes, and rivers, there are endless natural physical features. 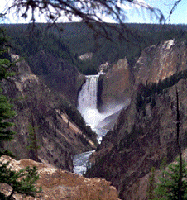 On our trips to some of our hiking locations, we will take time out to stop at the well-known features of the park such as Old Faithful, Canyon's Artist Point, Tower Falls, and others. Besides the natural physical features, there is an abundance of wildlife to view from wolves, elk, bison, bear, deer, bighorn sheep, antelope, coyote, and a variety of feathered friends. There is no charge for our sightseeing tours as we journey to and from our hiking locations. If you prefer to spend an entire day with a professional guide, there is a charge of $250.00 per person.